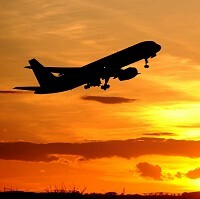 Chancellor George Osborne has put off plans for the inflation-linked increase in Air Passenger Duty (APD) airport departure tax until April 2012, offering much-needed relief to travel insurance holders. Holidaymakers have been facing a steady increase in APD since its introduction in 1994. The increase in November last year pushed up the rate for air passengers on the longest flights by up to £170. However, some business and luxury travellers may be affected as Mr Osborne announced tax would be imposed on private jets. He said a proposal to replace APD with a per-plane levy is also being deferred as all options currently being considered would violate international law. A consultation will also be launched on reforming APD to correct existing problems with the system. Highlighted some of the issues, Mr Osborne told MPs that APD assumed that the Caribbean was further away from the UK than California. Mike Carrivick, chief executive of the Board of Airline Representatives in the UK, which represents 86 airlines, said: "The Chancellor's decision on APD is a welcome development but does not go far enough. "The UK travel industry already pays the highest aviation taxes in Europe and the existing APD levels do not take into account the EU Emissions Trading Scheme (EU ETS) which airlines will pay into from January 2012. Other EU countries have reduced or are removing existing taxes prior to the introduction of EU ETS."